How to fix QuickBooks Error 1016 ? There are some problems that QuickBooks users may encounter while using the banking service of QuickBooks. There might be some error that appears while downloading the bank transaction or while working with one. In this article, we will discuss QuickBooks Error 1016. What is QuickBooks Error 1016? QuickBooks Error 1016 is an online banking error. It is a common QuickBooks Desktop banking setup error. It is a bank feed error that might be caused due to an inactive bank account. Any problem at the end of the users’ bank. They might have changed in their service offerings, web connect or direct connect. Changes in the bank name made not be rectified in QuickBooks. The user might be using an inactive bank account enabled for QuickBooks banking transactions. Any problem with the downloaded or import file. Problem with the internet connection may also be a reason for the error to occur. There might be any problem with one or more QuickBooks account in the company file. A discontinued version of QuickBooks Desktop might also create a problem in the banking transaction. Steps to resolve the bank feed error are given below. Follow these steps in order. TLS 1.2 is the latest security protocol in the internet explorer. here are the steps to enable TLS 1.2. Before performing the steps make sure that it is latest internet explorer version i.e IE 11. Scroll down to Security section. Now, close all programs and restart the computer. You May Also Read: How to fix the QuickBooks Error 1772? This process helps in knowing if the issue is with the bank or their server. Open QuickBooks and go to File menu. Now, click on Express Start. In the new company test, add the bank account which was creating the issue. Set up the account for bank feeds. To test the account download the bank feed transaction. If the same error message appears again it means the issue is with the bank. Contact the bank in order to solve the issue. It helps to recover the incomplete connection with the bank by bypassing the previously failed connection. Backup the data before performing the steps. Go to Banking, then click on Bank Feed. Now, click on Bank Feed center. Press Ctrl while clicking on send/receive and hold until PIN screen appears. Enter the PIN and click on OK. Hold Ctrl until the message the transaction has been downloaded appears. If the error message appears it means that the problem cannot be bypassed using this method. These were a few fixes to the problem. 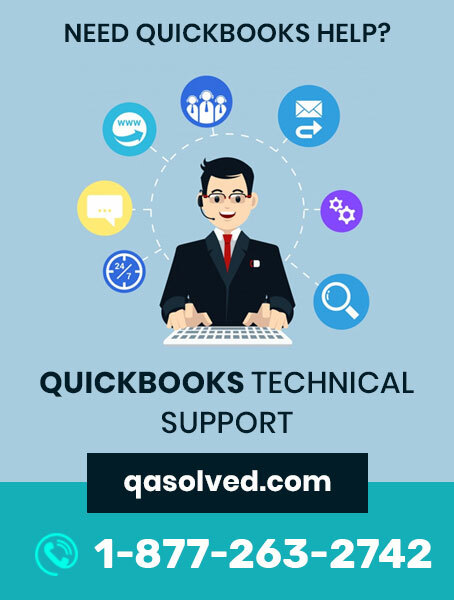 Hope this would help in resolving QuickBooks Error 1016 and give the users a smooth functioning of QuickBooks. If unable to resolve the issue, immediately contact at QuickBooks Error Support phone number 1-877-263-2742.